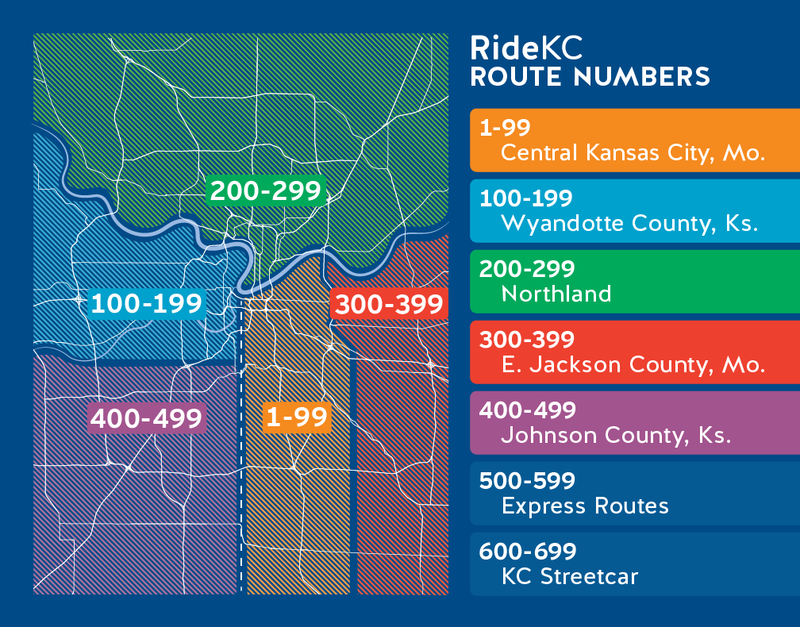 Slowly and carefully during the last year, RideKC has renumbered more than four dozen bus routes across the Kansas City area in an effort to make riding the bus friendlier. On Oct. 1, we completed our new renumbering system, which is designed to give riders a better idea of where they’re going, the price of the fare and the service they’re using. The new numbering system gives our region one comprehensive system for identifying bus service across the area. The old numbering system didn’t always clearly identify a bus’ destination, what type of service it provided or what part of the region it served. For instance, express routes numbers were not grouped together. While some local routes were labeled as express service, they didn’t necessarily operate as an express service. The previous numbering classification didn’t intuitively tell riders where they’re going across the board. Numbers referenced everything from numbered city streets, old streetcar lines or parts of town. A rider couldn’t assume the price of a ride based on the numbering system. For instance, service with a premium fare route costing $3 a trip was often mixed with the numbers of other local routes charging $1.50 a trip. All Kansas City, Missouri, routes south of the Missouri River were numbered 1 to 99. Sixteen current routes were renumbered. All Kansas City routes north of the Missouri River will be numbered 200 to 299. Twelve of these routes were renumbered. Eastern and southern Jackson County will use 300 numbers. Three routes were affected. The colors identifying IndeBus routes remained. Johnson County routes will carry a 400 series number, except for express service. The renumbering affected 10 routes. All express routes between the Missouri/Kansas suburbs and downtown will be labeled with 500 series numbers. The new 500 series numbers will denote that riders pay a higher fare for the express service than the typical $1.50 local fare. Nine routes were affected. Wyandotte County routes will keep its 100 series numbers. We expect our riders will find this numbering system will not only be easier to understand but will improve the bus-riding experience.